Greg Spry’s Beyond the Horizon is the second in his Beyond series. The focus of the plot is split equally between Maya Davis’s once-in-a-lifetime opportunity to explore interstellar space over a period of three years and her aunt Brooke Davis-Sommerfield’s inner turmoil regarding a past she would rather forget. Maya, an extraordinary student in her own right, has just graduated second in the Interstellar Expeditionary Force Academy class of 2265 and is one of the fortunate citizens boarding New Horizons. Maya’s fate as an integral part of the success of the mission of New Horizons, strangely enough, seems dependent upon the decisions of Brooke as she battles the Vril in Maya’s absence. Greg Spry has created some truly memorable characters within a phenomenal setting years in the future. One of the most striking aspects of Spry’s work is the effort he has put into describing the technological advancements he envisions. The ease and speed with which travel takes place and the vessels used are quite amazing. The author’s descriptions are more than adequate to effectively draw in the reader. In fact, I became more than fascinated with the many uses of the “i-cite,” a device which takes the capabilities of a smartphone and magnifies it by thousands. Spry has outfitted his group of futuristic characters with the means to alter themselves in an instant. Perhaps one of my favorite scenes involved Brooke avoiding discovery by spontaneously changing both the length and color of her hair while she walks amid passengers on a ship. This, one of many other details, set Spry’s work apart from the science fiction tales I have read recently. The ability to instantaneously alter one’s appearance takes the story to another level within its genre. In addition to the incredible devices used and the modes of travel detailed by Spry, I was enthralled by the description of New Horizons, an entire community created for a three year space journey. Self-sufficient and immense in size, the vessel was almost too imposing to comprehend. Spry breaks barriers within science fiction with settings filled with incredible planets, ships, and astonishingly advanced day-to-day living. Somewhat surprisingly, neither Maya nor Brooke were standout characters for me. Both women are strong, determined, and remarkably intelligent. Their struggles are typical for books steeped in action and suspense. I felt Brooke revealed much more of the struggle within herself than Maya, though both were faced with demons–real and imagined. Brooke has taken the trauma of Maya’s youth on herself, and it is evident throughout her plotline. My chosen character–the one I looked forward to within each section dedicated to Brooke–is Zeke. His combination of innocence and the ability to manipulate thoughts was intriguing. The explanation for Zeke’s fast-paced growth fits well with the plot and the fear surrounding his abilities. 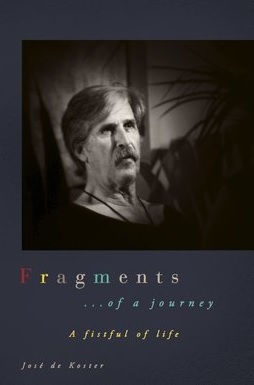 Greg Spry draws out a complicated plot and satisfies readers of all types with relatable characters, amazing images of the future, and action sequences which are spaced effectively throughout the book. 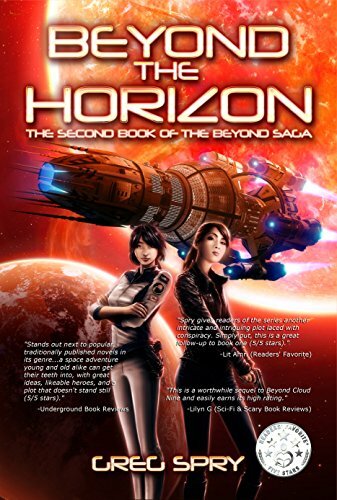 I recommend Beyond the Horizon to fans of the science fiction genre and anyone seeking to explore the genre. Spry is an author who, without a doubt, delivers a punch. Posted on July 17, 2017, in Book Reviews, Five Stars and tagged action, adventure, amazon, amazon books, amazon ebook, author, beyond the horizon, book, book review, books, cyberpunk, ebook, ebooks, exploration, fantasy, fantasy book review, fiction, fighting, goodreads, greg spry, hard science fiction, horizon, interstellar, kindle, kindle book, kindle ebook, literature, novel, publishing, reading, review, reviews, sci fi, science ficiton, science fiction, science fiction book review, space, space travel, spaceship, stories, thriller, war, war novel, writing, YA, young adult. Bookmark the permalink. Leave a comment.